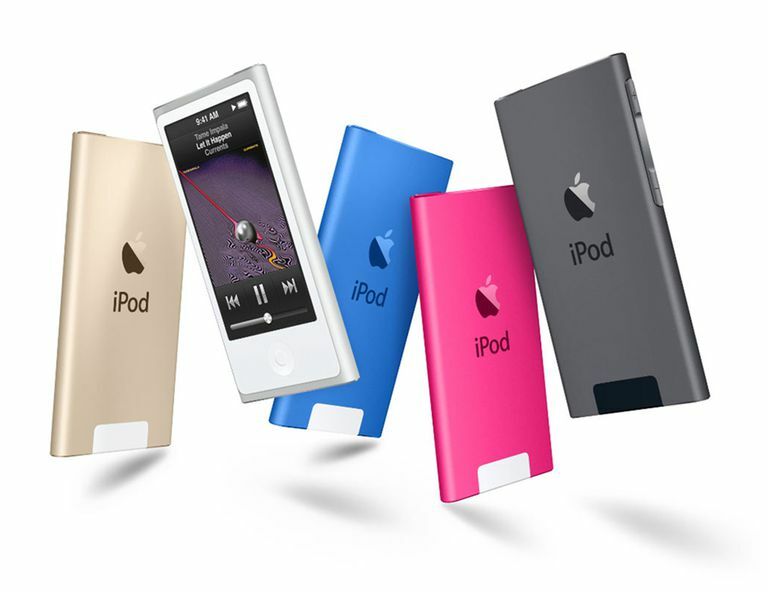 If you just got an iPod nano and haven't had an iPod before, you may be looking for a way to turn off the iPod nano. Well, stop your search: Many versions of the iPod nano don't have a traditional on/off button. So how do you turn off an iPod nano? The answer depends on which model you have. You need to know what nano model you have in order to know which instructions to follow. This is particularly tricky because so many models of the iPod nano look pretty similar. Check out this article for descriptions and pictures of each generation of the iPod nano so you can figure out which instructions you need. Begin by making sure you're running iPod nano OS 1.1 or higher. This update was released in late February 2011, so you probably have it on your 6th generation model already. If not, ​follow the instructions in this article to install iPod operating system updates. The 7th generation nano comes pre-installed with a newer version of the OS than 1.1, so there's no need to upgrade it. It supports all the features you need for these steps and you can skip to step 2. Hold the button until the screen goes dark. The nano is now off. To turn the nano back on, simply hold the button again until the screen lights up. It's important to note that most functions of the iPod nano—music, FM radio, pedometer, etc.—stop when you turn the device off. However, if you turn the nano back on less than 5 minutes after turning it off, the nano will remember the music that was playing when you turned it off and will resume there. Gradually: If you use your nano for a minute or two and then set it aside, you'll see its screen start to dim and then eventually go black altogether. This is the nano going to sleep. When an iPod nano is asleep, it uses much less battery power. By letting your nano sleep, you conserve your battery for later. Right Away: If you don't want to wait for that gradual process, put the nano to sleep right away by holding down the play/pause button for a few seconds. If you press any button on your iPod nano when it is asleep, the screen will light up quickly and your nano will be ready to rock. If you plan not to use your iPod for a while, you can make sure that you conserve battery power and keep your iPod from playing a concert inside your backpack by using the hold switch. The hold switch is at the top of the iPod nano. On the 1st through 5th Generation models, slide the switch to the On position when you put the iPod away. To start using your iPod again, just slide the hold switch into the other position and click a button to start it up again. On the 6th and 7th generation nanos, the hold button doesn't slide; you just press it (similar to the hold button on an iPhone or iPod touch).